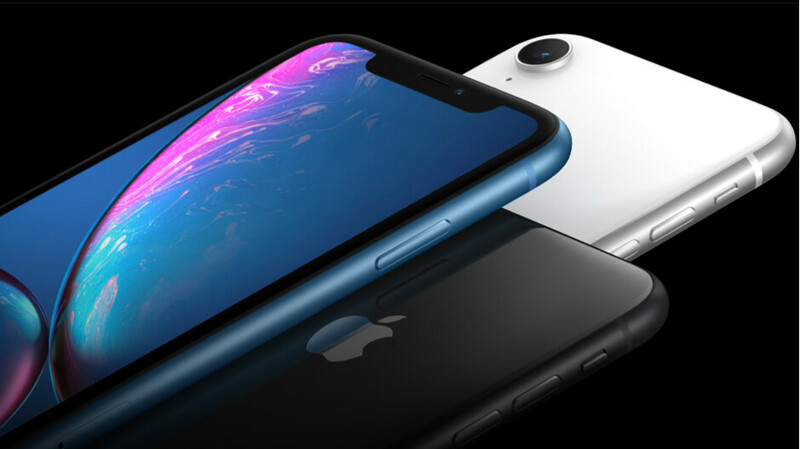 The XR is arguably Apple's first big-screen phone in a fairly compact body that also comes at "affordable" for the company's standards price tag, so Apple has a lot riding on not bungling the launch. On the bright side, an LCD iPhone launch that comes later than the high-end OLED successors of the iPhone X may force early upgraders to splurge for the more expensive models this year. We can't wait to get our hands on the puppy tomorrow, and put it through the claim-testing grind. So not worth its selling price. And note 9 worth the price that is why it’s selling well and for the first time the Samsung mobile divisin will have a positive profit. The note 9 is worth its price, but the iPhone XR is certainly not. Even if you compare the XR to the iPhone XS. There is so much different. It should be a lot less than $750 USD, or $1030 CAD. The water resistance is lower IP67 (XR) instead of IP68 (XS). Aluminum frame (XR) instead of stainless steel frame (XS). LTE is slower. 3 GB (XR) of RAM instead of 4 GB (XS) of RAM. Lower resolution HD+ LCD, with a low pixel density. XS/XS Max has a higher resolution OLED display. No HDR support for the XR. HDR support for the XS/XS Max. No 3D touch on the XR. 3D touch support on the XS/XS Max. Dual cameras on the iPhone XS/XS Max with zoom. Only a single camera on the XR. The glass covering the XR is a lower rating compared to the XS/XS Max. The note 9 at least comes with a lot of things you don't get with any IPhones. Like a stylus or pen support, it comes with faster LTE even over the XS or XS Max. More ram, expandable storage, and at a lower cost overall. You even get Microsoft office for free included on board. You also get $150 worth of Fortnite game options. You get a much better infinity OLED display, with a much higher resolution that is optimized for both VR and AR. You get a quick charger in the box, with an audio jack dongle. USBC is standard. The notes also have a desktop mode to go with their real multitasking and split screen multitasking which isn't found on ANY iPhone. Plus there is more as well. What about the fact that the XR is going to crush the XS in performance and battery life? Just like the iPhone 8 crushes in performance as well. Sure let's compare a display like the iPhone 8 with 1 million pixels to a display like the Note 9 with 4.3 million pixels. The iPhone XR has 1.4 million pixels. The iPhone XR can't even view a full HD movie or video without down scaling it. This is 2018, and there is no excuse for the XR to have such a crappy POS display. You can buy right now a Moto G6 for $200, that has a full HD+ display, and that even has dual cameras. If they can sell a device like that for a profit at $200. Then what's Apple's excuse for putting such a low resolution display on the XR? (Yeah, we know profit). Only Apple or Apple zealots would try to push the iPhone XR as something great and say it's affordable. If you live in a vacuum, and are ignorant to everything around you, then I guess you could then say it's great. But when the display is the most used and most important feature of any smartphone/iPhone. Then the XR is truly not worth Apples asking price. By a mile. What about the fact that Samsung runs android? With that then its not cool. The reason why Xr is cheaper because of all the things you have mentioned, it’s inferior than both Xs. But don’t tell me it’s inferior to what the android offers coz I don’t f**king care about 4000mah which last also a day, 1TB storage which can’t make unlimited 4k video, and the list go on. It’s worth it to those that want it. You could say that about almost anything. A $50,000 Rolex watch is worth it to those that want it. A Lamborghini Countash is worth $600,000 to those that want it. A broken LP record is worth $500 to those that want it. Logic like that doesn't mean it's actually worth its overall price. Plus that affordably crap is using words that sound like it's cheap, but the overall specs are cheap in the XR. Especially in comparison to the XS, or other smartphones. Why are you so furious and mad? Don’t read the news if you don’t like it, apple is not going to disappear or self destruct just because you’re angry and ranting in PhoneArena comment section, do you know that? Do you know how ridiculous you look? If the battery is impressively and the display quality (barring resolution) is good then I’ll get it. Otherwise Xs. This is gonna be a big time seller. For the mainstream consumer, this phone has it all, and isn’t too highly priced. The red and blue ones looks really sweet.